When you enter a competition for something that you normally could not afford to purchase, in my opinion you are always in with a chance of winning after all there's the old adage that you've got to be in it to win it. Imagine my surprise after waking up one morning and reading all the congratulations from some of the people I know on Facebook as radio hams and friends . There in front of me was the post telling the lucky people they had won and to check our e-mail, so I checked my e-mail and sure enough there was the confirmation that I had won and could I please supply my shipping address. Part of the deal to winning a pair of these radio's was to write a review using more than 2 pictures of the actual radios with no less than an 800 word count. Now lets have a look at the main features of this wonder of modern technology. Starting with its elegant design .The radio is pocket sized and easy to carry so those with a cell phone wont notice the weight of only 160 grams and the measurements are only 106 X 54 X 23 mm and that it is it . On the front there is the big rocking button that will help you to select menu's so you can navigate through and read or select them , it can also be used for voice calls . The radio features a micro usb port so it can be charged with the most micro usb power supplies .Plugging it into your computer's USB port will also charge it with a standard usb lead used by most mobile phones. The Standard internal battery is rated at 2000mAh @3.7v and should help users keep in contact for a long time. In digital mode the battery operates for up to 12 hours using a 5-5-90 cycle and in analogue mode about 10. The range of frequencies are : 400-440 MHz/430-470MHz/446 Mhz with a Variable Output Power of 3W/1.5W and it has a 256 Channel Capacity. 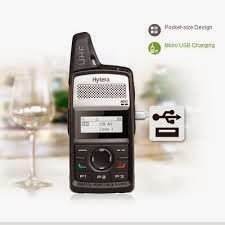 The radio is programmable via the usb port and anyone familiar with the hytera CPS will find it a doddle to set up. There is also the ability to use CTCSS/CDCSS on the analoug frequencies this will prevent unwanted conversations on the same frequency added to the fact you can enable it to scan continuously on the analogue and digital channels . With the Analogue and digital dual modes, using it ensures a smooth analogue to digital migration. 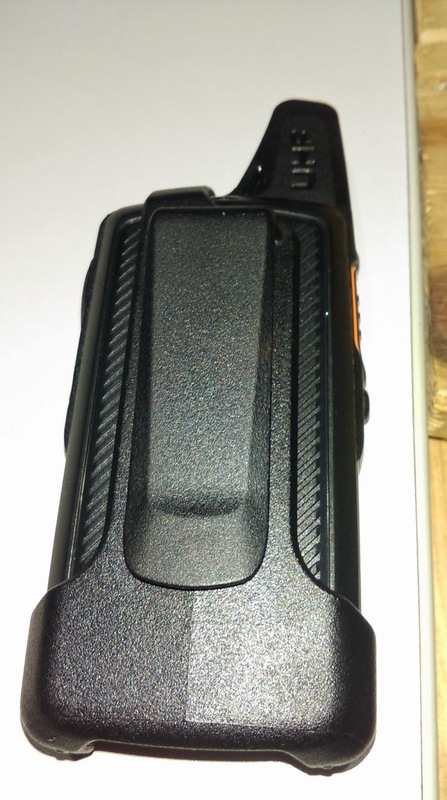 I see this radio in use mostly for covert or security operations so the fact that the optional speaker mics can be worn discreetly with a secure 2.5 mm socket to ensure you don't loose contact along with a high quality speaker for clear audio from the set . Word of mouth is a wonderful thing and when someone tells you that a thing is good you just have to try one out for yourself . I can tell you I am not disappointed and have been telling all I can just what a great little radio it is . Here are my findings. After Receiving the radios from the courier, I went over to my friend 2E0STZ's shack and we loaded a code plug for our local DMR Marc repeater network then programmed the radio's . 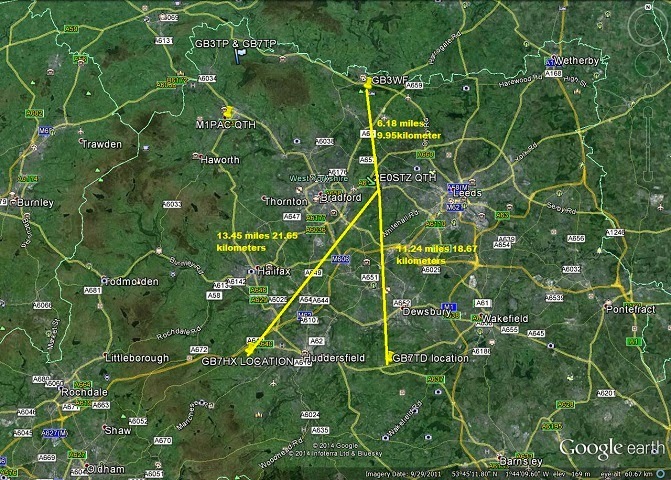 There are three DMR Marc networked repeaters in our area. Standing in the garden of the location that we were in we were able to open and operate them from the rear garden of 2E0STZ,s location and I was able to open GB7HX which is approximately 13.7 miles away GB7TD is 12.5 miles away and we could operate that also. I used my radio whilst I was on a rest period I was able to talk to my friend 2E0STZ. 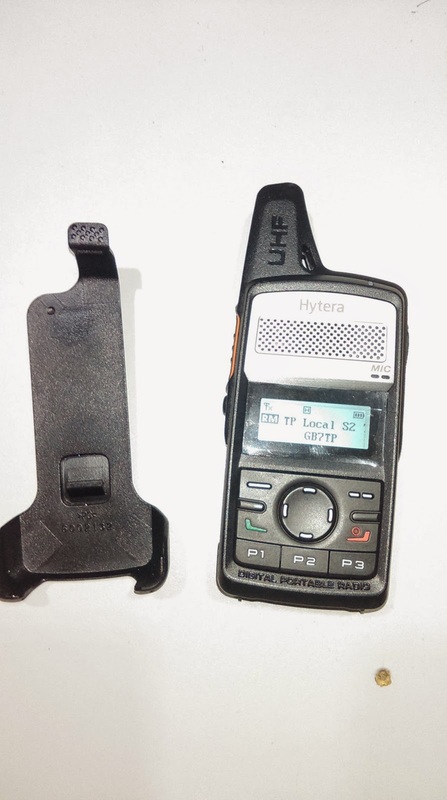 The belt clip supplied with the radio is a joy to use , it is so simple to connect and disconnect the radio from it . There is a top tab that clicks into place when you have secured it properly into the clip and it just needs the twist of a finger to detach it .the belt clip itself fastens securely onto most of the belts I have tried, including a tool-belt that I use for work. Being local to one of the repeaters (GB7TP) I am able to use the low power setting on the handset . I live in a block of flats and have a twin lift shaft to the right of my shack, and on high power I can open and operate an analoug repeater called GB3XL .The little handset continues to astound me on it's capabilities Even if I hadn't won a pair of these wonderful little devices I would have purchased one to try it for myself . Labels: 2E0STZ, aerials, antennas, Digital radio, DMR, DMR-RADIO, hamdmr, hamdmr.co.uk, hyt, hytera, hytera communications co ltd, hytera radio, M0DIT, M1PAC, motorola radio, pocket sized, radio, radio ham, specialist radio.